Experience flight simulation in perfection! You will be impressed with the flight physic and graphics. 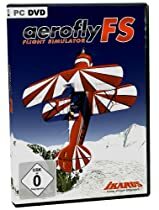 Powered airplanes, jets and gliders are excessively detailed and offer stunning realism.Jump into the cockpit and enjoy roaming the skies above wonderful Switzerland with its gorgeous mountains and deep valleys and master thrilling flight challenges.